Nvidia recently had its earnings call during which it posted record breaking, well earnings, and talked a bit about its future prospects. 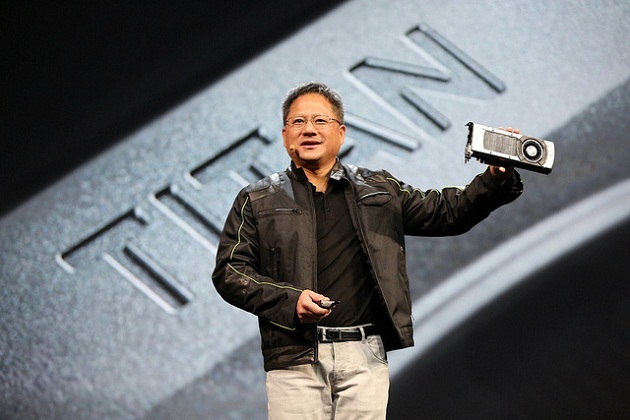 During the call, the CEO of Nvidia, Jen-Hsun talked about the different gaming platforms as well and noted that the “hey days of the past” are over for consoles. Jen Hsung during the intro of the Geforce GTX Titan not so long ago. During the call, a question was put forward to Jen-Hsun on how Nvidia’s cycle (the green half of the PC Gaming Duopoly) compares to the console’s, and what the CEO replied with was interesting, although expected. He talked about how there was a time when the consoles were undoubtedly the best way to enjoy games, and something which he states is not true anymore. I found this comment pretty interesting because PC has always been one of the premier gaming platforms (unless you are talking about legends like SNES and SEGA). Do I detect here a hint of red-envy? Anyways, It was only with the advent of the PlayStation One and Xbox (the original) in the early 2000s that the trend of gamers truly started shifting to consoles. My favorite game is a PS2 exclusive, but the first few games I remember playing were all on PC. He talks about how statistically speaking the PC has overtaken consoles and mentions China as one of the prime examples. Elaborating on his point a little, the reason why China is the primary hub of PC Gaming is because consoles were never launched properly (or on time) in China. Infact there was a very literal console ban in place. While that didn’t stop black consoles from being sold, it did stop the vast majority of console uptake. Gamers in china therefore resorted to PC Gaming, prominently MMORPGs and MOBAs. Even though the ban is no longer at play, the PC gaming inertia is now very high, making it very unlikely to change anytime soon. Finally, he talks about how the PC platform is undergoing a re-awakening of sorts, with new titles and accelerating expansions happening throughout the Industry. He also mentions that the reason consoles cannot relive their golden age (that is now past) is because there are so many alternatives for gamers now, some of which are probably better. He also mentioned the fact that Android is poised to be a great mobile gaming platform of the future. This write up was derived from Nvidia’s Earning Calls, a transcript of which can be found over at Seeking Alpha.